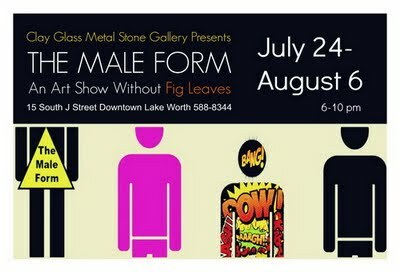 Friday, July 24, is all about the men at Clay Glass Metal Stone Gallery. The gallery was challenged to design a show about men; the majority of the body of art of the past, pertaining to the female form. The challenge was met, “The Male Form” was born. Entries are coming in from around the county, and beyond. This show promises to sizzle, in a good way. Perhaps a Michelangelo will emerge with a new version of the David.